New Delhi, April 26: Acting tough on both Facebook and Cambridge Analytica over data breaching scandal, the Indian government on Wednesday served a second set of notice and asked for the replies to the fresh queries by May 10. Notably, the central government has asked five questions to both Facebook and Cambridge Analytica over data breaching scandal. (1) What kind of data was collected in India and the research instruments it had used to capture such data. (2) Whether the company has harvested any data through third-party app and whether or not mining of such data was done with user consent. (3) The government also sought information on entities operating under the umbrella of Cambridge Analytica and details of directors. (4) The government has asked about the pacts signed by the company with its associates and clients for Indian assignments and further asked it to share the templates that were used in signing such agreements. (5) The government also asked Facebook about steps it plans to take to clamp down on any unauthorized use of data or manipulation and fixed a deadline of May 10 for responses for both the companies. The notice comes two weeks after Facebook chief Mark Zuckerberg accepted the full responsibility of the Cambridge Analytica scandal and apologized to the US Congress for not doing enough to protect users personal data. Earlier, in the month of March, Indian IT Minister Ravi Shankar Prasad raised suspicions that Congress has a tie-up with Cambridge Analytica which have allegedly shared confidential data of Facebook users to help in the poll campaign. While advising Facebook CEO Mark Zuckerberg to pay attention to India's IT minister's warning, Union Minister asked Congress President Rahul Gandhi to explain the role of Cambridge Analytica in his social media profile. Cambridge Analytica met with Congress leader in last August to present a plan to help Congress win 2019 general elections through a data-driven strategy to target voters on social media, analyzing online user behaviour and connecting the dots across different citizen databases. Hours after Ravi Shankar Prasad’s press conference, Facebook CEO Mark Zuckerberg admitted mistakes and outlined steps to protect user data in light of a privacy scandal involving data-mining firm, Cambridge Analytica. 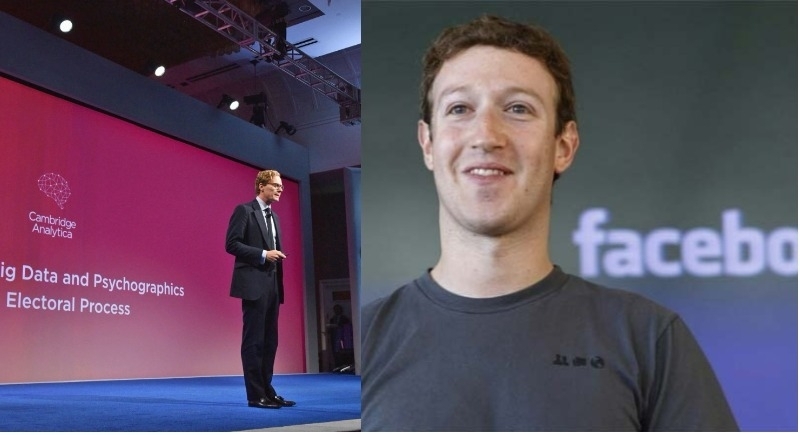 Days after, the Trump administration confirmed that Facebook is under stringent investigation into its privacy practices, amidst allegations that its connection with British company Cambridge Analytica resulted in misuse of personal data of some 50 million users. Cambridge Analytica was created in 2013 to participate in American politics. It is an offshoot of British firm Strategic Communication Laboratories, which provides data, analytics and strategy to governments and military organizations worldwide. Some of its key campaigns include 2016 US Presidential elections for Donald Trump and Leave EU campaign in the very early stages of its Brexit campaign.